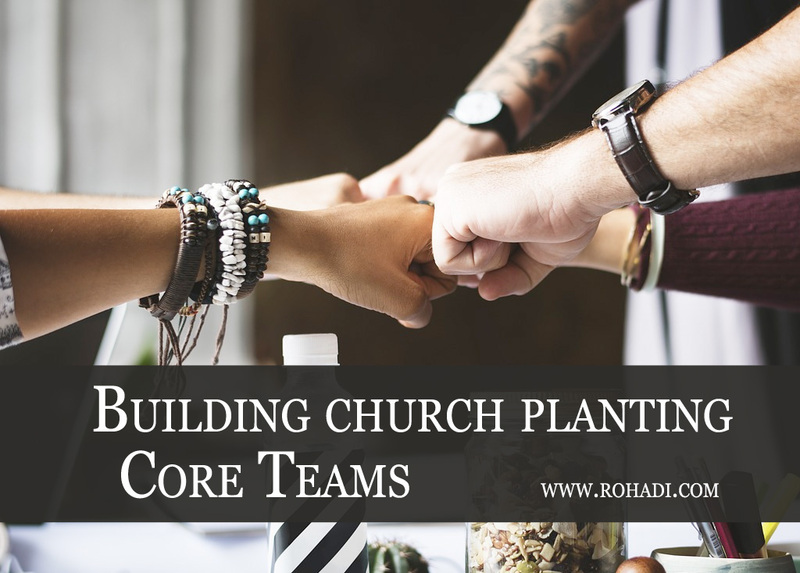 The effectiveness of traditional church planting core teams is heavily reliant on the managing skills of the lead church planter. Typical development often struggles to produce positive and repeatable results which should point to a flaw in the entire approach. Becoming a denominationally approved planter comes with a number of strings. Chief among them is the need to develop a “sending” or “core” team to get the ball rolling. The hope is to build some momentum and critical mass from the get go. Usually team selection includes those who get along with the pastor and resonate with the early vision…at least on paper. These early adopters, however, can quickly become disinterested once ideas turn into reality. Suddenly expectations creep up, are not met, and that momentum dies. Since how we develop core teams is prone to failure, can we re-think a better way? How core teams are selected seems to be the problem. Often it’s on whim. Whether they will reproduce health seems to rely on a prayer. A whim and a prayer are not competent strategies–we need something better suited to survive change. For starters, we need to acknowledge the complexity of even the most basic form of conventional church planting. Healthy formation to move forward unto mission. Many core teams are not suited to face the adversity church plants present. I’m not sure if denominations measure or ask core teams along these lines. The lead pastor sure, but not sending team. It hurts to see many who don’t survive stage one of deconstruction. Suddenly, right out of the gate, the plant is in trouble. It seems core teams sticking together over the long haul are rare. Most planters have a few stories about the people you thought would “get it” quitting in short order. Here’s a different approach to consider. I’ll use an example of a group already living together in the same geography/neighborhood. Around some shared values, can you share life together and survive? Life on life is just a different way to say “discipleship”. Can a group of friends live a life of discipleship together and survive? If so, I contest you potentially have a core team emerging, and this time the foundation isn’t how cool your service is, but it’s depth found in relationship. What we tend to do instead is “throw” together, on a whim and a prayer, a core team who “catch” the vision. What we should try instead is confirm a core team that’s emerging out of deep practices of life on life. The latter is going to last a lot longer than what we’re used to in core team development. It will also leave you less disappointed.